See if you can spot the three horse heads and two bulls in this piece. Hint: follow the horns. 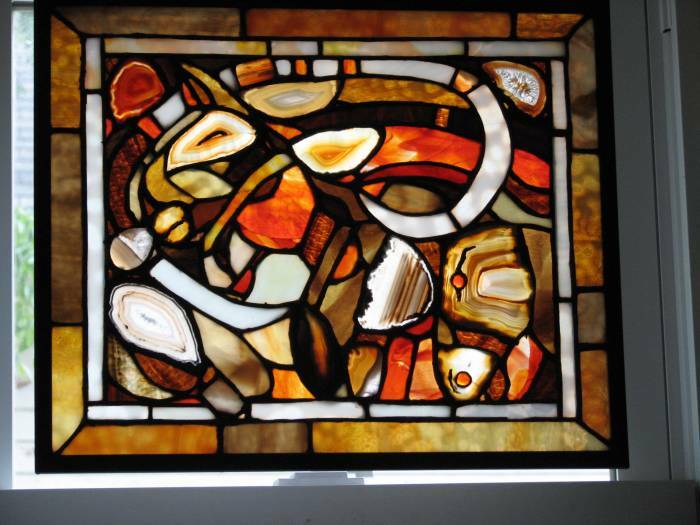 For this and the Lascaux piece, I used as many geode slices and translucent stone beads as possible. It seemed appropriate to the subject matter.